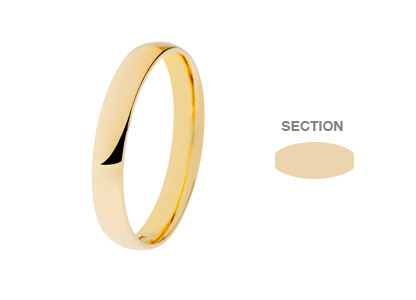 Crafted in 18ct yellow gold, this 3mm band of gold is beautiful in its simplicity. A plain highly polished wedding ring that allows your engagement ring to take centre stage. The most comfortable of all wedding rings is without doubt the so called comfort fit, or court shape ring, with no sharp edges this court section ring is rounded on both the outside and the inside for maximum comfort. A gorgeous ring that will signify the love and commitment you make to each other on your wedding day on the start of your new life together. 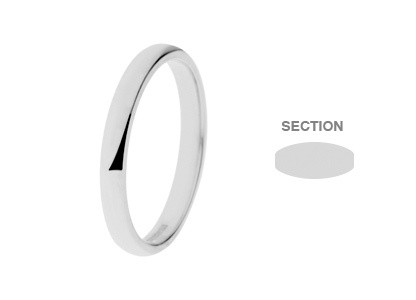 This ring has a highly polished mirror finish, with an average depth of 1.3mm and 3mm width. Sizes can be made to special order in approximately ten working days for delivery or collection in-store.